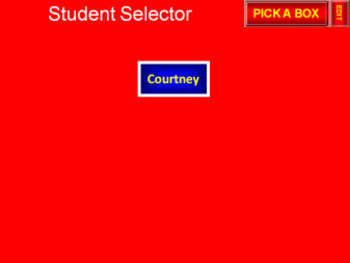 This application selects one student from a group of up to 35 students. 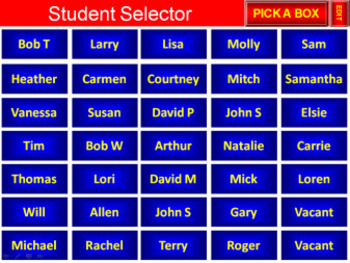 Type in student names and randomly select the student with a click of a button. Macro enabled file.